Be able to talk like a roofer – Learn the terminology! Now, you have a roofing problem. You know you need a Dallas roofing contractor, but where do you begin? Once you explain your problem you will be told a solution you may not completely understand. Roofing involves a lot of industry terminology, and we want you to be able to understand it all! Make sure you really understand what your roofing contractor is talking about before you make a major investment. Need a new roof? Get ready to hear a lot of unfamiliar roofing terms. Let’s make sure you really understand what your roofing contractor is talking about before you make a major investment. Hip roofs are nice in snowy or windy environments — that winter snow will slide right off. If you’re interested in vaulted ceilings or a spacious attic, look for a house with a hip roof. A gable roof, on the other hand, is triangle-shaped, lacking those four even sides. A shed roof refers to a roof that slopes in a single direction, flat and down, like you’d expect to see on, well, a shed. Hip and gable are the two most common roof styles, but a single house can sometimes have multiple styles at the same time: you may have a gable roof with shed-style dormers, for example. What’s a dormer? Good question! 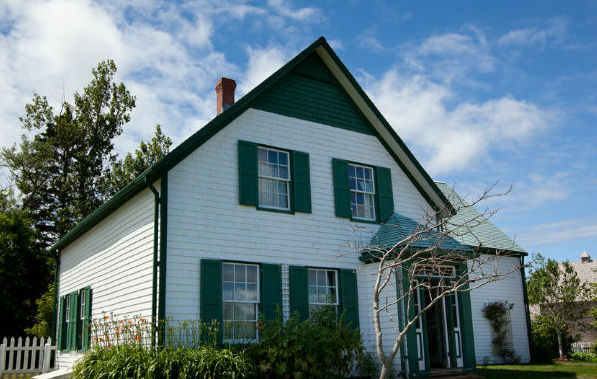 Dormers are “a roofed structure that projects vertically beyond the plane of a pitched roof.” You’ll often see dormers jutting out over windows. SLOPE: The slope is the angle of incline, usually expressed as a fraction or ratio. This fraction represents the number of inches that a vertical rise increases over a horizontal run. The rise, by the way, is the number of inches within one foot of run. A roof with a slope of 6:12 is steeper than a roof with a slope of 4:12. Gable roofs often have steeper slopes than hip-style roofs. PITCH: Pitch is the incline of the roof and is determined by dividing the rise of the roof by the span from one wall to another. Usually expressed as a fraction, pitch is less precise, but still allows you to understand the steepness of your roof. Very steep or low-sloping roofs are going to require special considerations when you replace them. All roofs have a deck, eaves and ridges. Most roofs have valleys, too. Decking is the exactly what it sounds like: the foundation of your roof. The deck base rests against the your attic, covers the rafters and supports the weight of the roofing materials. The deck is usually made out of plywood or a composite. Eaves are the edges of the roof that jut out over the walls of your home. Most eaves house intake vents for attic ventilation. Did you know your attic needs to be vented? This helps keep your attic from getting too warm, which can cause all sorts of moisture issues for your roofing materials or melt off snow too rapidly in the winter, which may cause ice dams in your gutters. Gutters — you probably know what these are! — are placed at the edges of eaves to help push water running off of the roof away from the house. If water were to splash straight down to the ground, the moisture would eventually compromise the foundation of your home, setting up a scenario that can cause a lot of serious problems. Ridges are the highest points on the roof. It’s where two roof lines intersect. Special shingles are used at roof ridges. Ridge vents should be installed at ridges to allow hot air to escape attic spaces. Roof valleys are formed where two section of a roof come together. These intersections are one of the first places where water will penetrate in a failing roof. Installing special underlayment and flashing materials in these roof valleys is a smart move because these can be trouble spots. So we’ve established what the deck of your roof will be: plywood or a composite like OSB that is attached to the bones of your attic. comes next. It’s the base layer of asphalt and a mat of fiberglass or felt between the roof deck and the shingles. Underlayment can be water-resistant or waterproof, depending on what you purchase. While you may never see your home’s underlayment, you see the shingles every day. Roofing shingles block UV rays from the sun, prevent water from leaking into your attic and provide aesthetic value to your home. Eighty percent of American homes have asphalt shingle on their roofs. Why? Because asphalt shingles are affordable, versatile and look good. Other shingle materials include wood, metal and ceramic — and the prices can be a lot higher. Flashing is a corrosion-resistant metal strip that is installed at roof edges and seams, These are the places where water is most likely to penetrate through the asphalt shingles and/or underlayment. Flashing helps direct water away from these trouble spots and gets it into the gutters. Water, when given the opportunity, will find cracks, so it needs to be redirected and eliminated as quickly as possible.